This intensive workshop is a rare opportunity to study in depth and at the same time all four stages of the internationally renowned CHARACTER ANALYSIS/MOVEMENT PSYCHOLOGY technique of Yat Malmgren – the man who completed Laban’s theory of Movement Psychology and brought it to the acting world, he trained an array of internationally renowned actors – Anthony Hopkins, Sean Connery, Colin Firth, Pierce Brosnan, Tom Hardy, Helen McCrory, Gwendoline Christie, Michael Fassbender – to name but a few. Learn how to interpret the inner and outer life of your characters with exceptional accuracy. Sensitise your instrument to a spectrum of energies allowing you to build extraordinary layered characters. The workshop is devised for actors, directors and writers wishing to learn and then explore in-depth the technique developed initially by Rudolf Laban and his assistant William Carpenter, and later completed by Yat Malmgren and taught by Christopher Fettes, founders of Drama Centre, London. Having further developed the teaching in collaboration with Christopher Fettes and others during the last seven years, Giles Foreman is now a leading contemporary exponent in the UK and across Europe. He will lead the workshop along with expert colleagues. The workshop involves the progressive unfolding of the constituent parts of the technique, followed by opportunities to embody what has been covered through practical exploration and in acting exercises. At other times we offer a series of four Intensive 4-day workshops devised for those wishing to understand and then explore the technique in more depth. 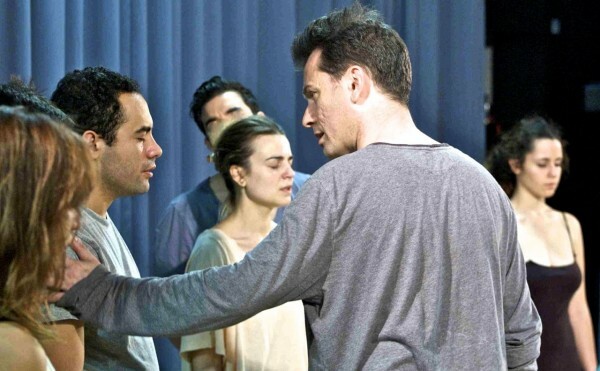 Taught by Giles, leading contemporary exponent in the UK and Internationally, these workshops are designed to introduce actors to the work of the Drama Centre, London – as taught when he trained there, and now teaches at GFCA’s centres. It is essentially a fusion of Stanislavski, the American evolution of the method, with European classicism and the extraordinary work of Yat Malmgren – a fascinating analysis of human expression accompanied by a series of practical acting exercises that lead the actor to psychologically and physically accurate transformation, using characters from Shakespeare (among others) and contemporary references as a basis. The workshops are underpinned by the authoritative book on the subject written by Christopher Fettes, and published by GFCA: ‘A PEOPLED LABYRINTH’. GFCA Zurich, GFCA Paris and GFCA Luxembourg. 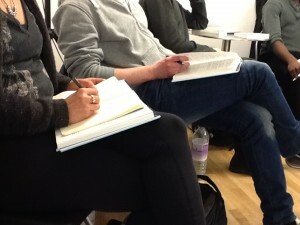 Look out for GFCA New York – and we also offer workshops in major cities across Europe.